Europe maybe tiny but with its diverse cultural heritage, fascinating history and spectacular scenery it has been a favourite for travellers since time immemorial. See the best that Europe has to offer on your trip to the Denmark, Norway and with Akbar Holidays. Welcome to Copenhagen! On your arrival at the airport, we shall be waiting with transport to take you to your hotel. 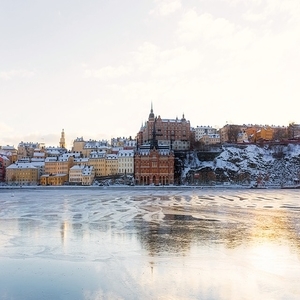 In the morning, take a comprehensive tour of the Danish capital with a local guide. Today you will travel to HIRSTHALS where you will take a ferryboat to Norway crossing the North Sea on three-hour voyage to KRISTIANSAND. On leaving the city, you will stop at the ¨Swords in Rock¨, a Viking monument, before continuing the scenic tour. Enjoy Norway breath taking natural beauty with its fjords, glaciers, lakes and forests. You will spend some time in OSLO before departing for Syouden, famous for its delightful forests and lakes. Enjoy a sightseeing tour of this gorgeous capital city built on 13 interconnected islands. Enjoy breakfast at the hotel before departing for the airport with souvenirs and happy memories. Europamundo General Services : Travel by bus with English speaking guide, basic travel insurance, and breakfast buffet. City tour in : Copenhagen, Stockholm. All Prices are in Indian Rupees and subject to change without prior notice. In case FIT flight inclusive package, full amount of flight will be payable at the time of booking. **For Air tickets being issued / blocked on time limit: Full INR component to be collected before issuance,else price will be subject to change. Booking confirmations are subject to availability. We are not holding any reservations of air seats, hotel rooms, conference rooms etc. Final availability status will only be known when we request for bookings. Any overstay expenses due to delay or change or cancellation in flight will be on the guests own & Akbar Holidays will not be held liable for such expenses however we will provide best possible assistance. Price on website //quoted are subject to availability at time of confirmation, we are currently not holding any blocking against the sent quotation. Price quoted are subject to availablity at time of confirmation, we are currently not holding any blocking against the sent quotation. Welcome to Copenhagen! On your arrival at the airport, we shall be waiting with transport to take you to your hotel. Our guide will greet you at the hotel and provide you with all the necessary information. 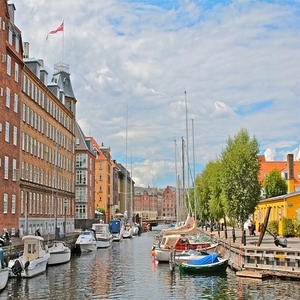 In the morning, take a comprehensive tour of the Danish capital with a local guide. 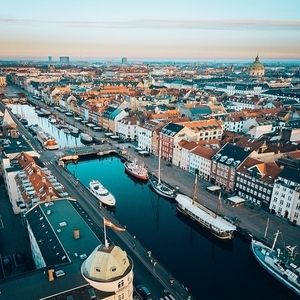 Copenhagen is the largest Scandinavian city, and full of contrasts: the popular “Tivoli, Christianborg Palace, the terraces of Nyhavn and the Mermaid all make up your day’s itinerary. In the afternoon you will travel to Jutland, passing through pleasant scenery on your way. En route pass over a 20km bridge over the sea and stop at ODENSE, where you can visit its gothic cathedral and the house of Andersen. 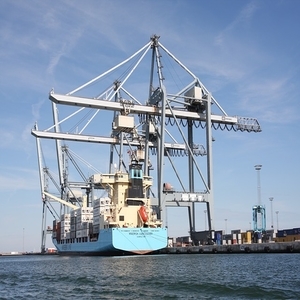 You will arrive in Aarhus late in the evening and check in to your hotel. Today you will travel to HIRSTHALS where you will take a ferryboat to Norway crossing the North Sea on three-hour voyage to KRISTIANSAND. You will go along Norway’s southern coastline and enjoy its gorgeous landscapes. 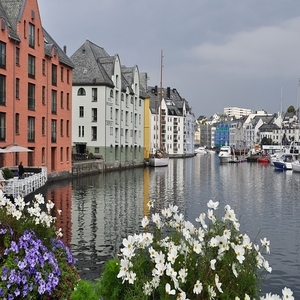 Stop in a picturesque small town called STAVANGER, a beautiful town with an active port by the fjord. On leaving the city, you will stop at the ¨Swords in Rock¨, a Viking monument, before continuing the scenic tour. You will follow the route going through tunnels, bridges and travel some stretches by boat to go along the fjord coast of Norway. One of its undersea tunnels is the deepest one in the world. This stage gets more spectacular with its two boat trips. Arrive in BERGEN at lunch time and take a funicular trip to Mount Fløyen which offers amazing vistas of the town and Bergen fjord. There will be some free time later to enjoy the capitol city of fjords. Enjoy Norway breath taking natural beauty with its fjords, glaciers, lakes and forests. You will travel to SOGNEFJORD, Norway’s largest fjord. Prior to arrival, you will stop at the beautiful TVINDEFOSSEN waterfall. Take a cruise between the cities of Gudvangen and Flam taking in the fantastic landscapes during this two-hour voyage. You will continue your journey crossing magnificent snow-covered landscapes through the Lærdal Tunnel, one of the longest in the world. Visit BORGUND’s 12th century wooden church which is considered Norway’s best preserved medieval church. 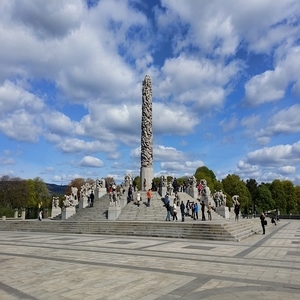 You will then arrive OSLO where you can check out its port, main streets, and the artworks at Frognerparken. You will spend some time in OSLO before departing for Syouden, famous for its delightful forests and lakes. Stop at OREBRO and visit its beautiful lake, castle and charming historic center. 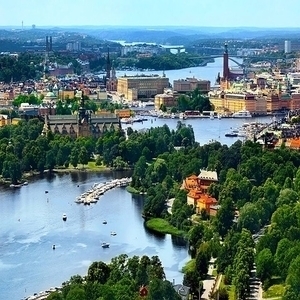 You will have time for stroll and lunch before you continue to STOCKHOLM. Enjoy a sightseeing tour of this gorgeous capital city built on 13 interconnected islands.You will visit Gamla Stand or the City between the Bridges, Stockholm’s lively Old Town where many of its monuments and historical buildings are located such as the Nobel Museum, located next to Stortorget main square, which pays tribute to the winners of the Nobel Prizes, the Cathedral or the Royal Palace. You could also enjoy a nice view from the Fjällgatan viewpoint. 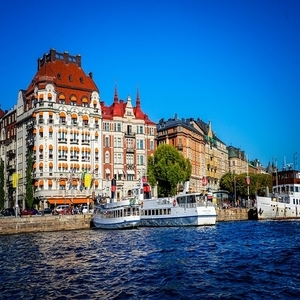 We recommend visiting its museums and parks as well as the Town Hall and the Vasa Ship Museum.